Do your students need their conversion rules all in one place? 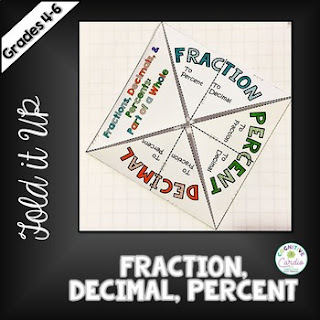 This Converting Fractions, Decimals, and Percents Fold It Up will help students keep the rules organized. It has a labeled outside, but the inside is blank, so that your students can write the rules for converting, using the language that you have used in your classroom. The second and third pages of the product show what the Fold It Up looks like when finished.